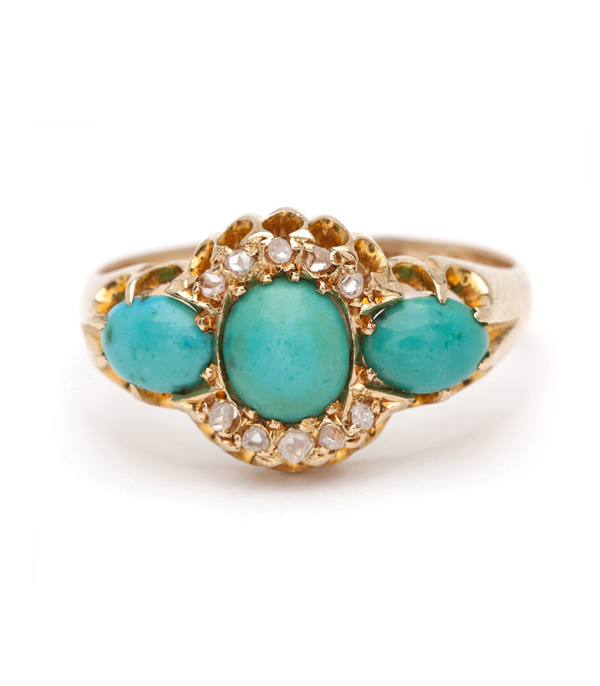 Happy as a sunrise, this delightful Victorian ring features 3 oval turquoise stones accented by small rose cut diamonds forming a semi halo. 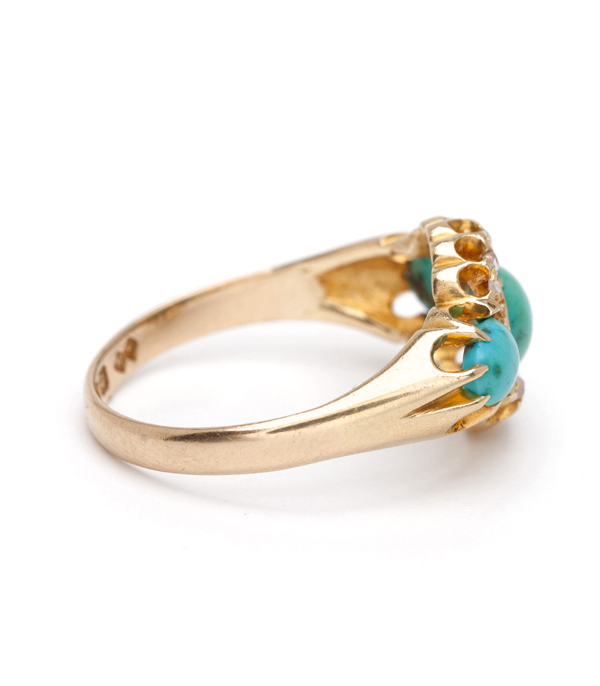 We love the summer-y feel of the turquoise set in 18K yellow gold. A perfect gift for a birthday, an anniversary or any occasion! 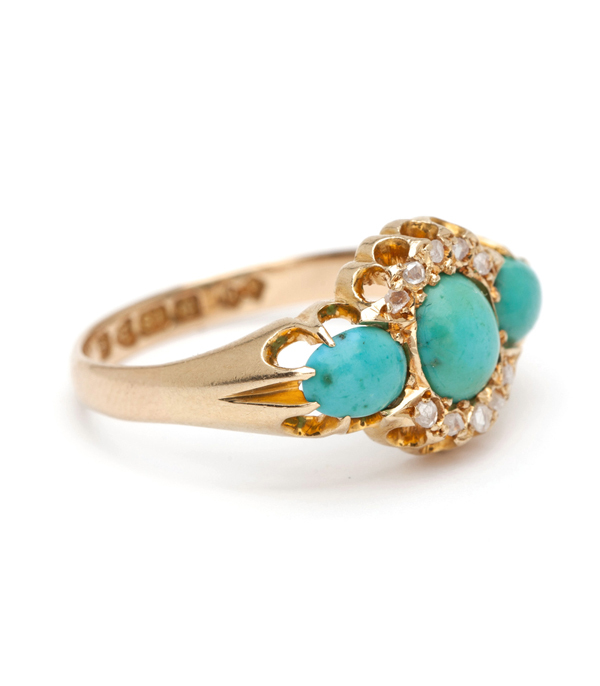 Vintage lovers will appreciate this ring’s original English hallmarks lining the inside of the band.